It seems that our beloved mobile devices like tablets and smartphones are ubiquitous in today’s age. Students are using iPads in the classroom as learning tools. Consumers are swiping their credit cards on iPhones to purchase goods. Even the healthcare world, though slowly, has gained traction in this new mobility craze. As with all wireless infrastructures, security is the number one concern. 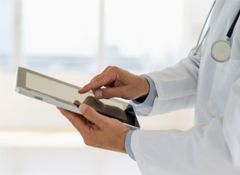 The question of why healthcare has been slower to adopt the new frenzy of mobile device usage lies largely in the greater depth of their concern with security. 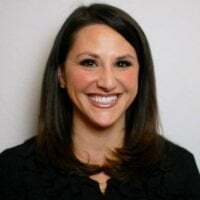 In healthcare this concern is magnified as they look to uphold HIPAA regulations and keep all patients’ privacy protected while also continuing to stay up to date with wireless practices. Luckily, new and innovative processes are quickly coming on to the market as is the ability to build a hospital wireless network solution with the features to securely handle the aspect of mobility. There are tons of cool apps out there that can help make mobility in healthcare more secure. 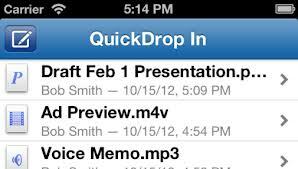 One good example is an app known as QuickDrop which provides secure transmission of any size and file type (including documents, texts, video and photos) to and from mobile devices. The app offers iPhone and iPad users a free and protected file sharing system with the highest level of security. Apps like QuickDrop may allow health organizations to embrace mobile technology more confidently by providing the security needed to build trust in an otherwise insecure, virtual world. Of course apps like QuickDrop are great and all, but it takes more than nifty apps like this one to get the level of security needed for hospital wireless networks. A fully phased approach to security, at the core, begins at the edge of the network. Healthcare facilities that want to create a single consistent network that combines wired and wireless access across indoor, outdoor, and remote locations should consider deploying an enterprise-grade WLAN. A centralized WLAN architecture that uses controllers with more processing power and 802.11n APs that combine affordability and configuration simplicity is the best option. The implementation of a deployment in this capacity allows a completed, fully secure virtual world to be available to our hospital wireless networks. Healthcare sat on the bench when the tablet craze first hit due to fear. The security now available will allow them to continue dipping into the vast atmosphere of the mobile universe. If your healthcare system is ready to upgrade your current hospital wireless network infrastructure to support the growing needs for mobile device use in healthcare we are here to help. The team here at SecurEdge has worked with many hospitals and is experts in working with large wireless networks systems like these. We understand that security is the highest priority for any wireless network solution, especially for hospital wireless networks. If you have any questions or would like a free consultation you may contact us here. Our goal is to be a resource for you!